From the 10th to the 17th of August wholesale prices for gasoline rose by 7%. This happened for the first time since the end of May this year, when the government took emergency measures to stabilize the retail price of fuel. On the one hand, the rise in current prices is associated with the upcoming scheduled repairs of the refinery. However, experts say that such a situation arose because of a fall in the ruble exchange rate and, accordingly, an increase in attractiveness to the export of fuel abroad. There are forecasts that the price of a liter of AI-95, which since April rose from 41 to 45.5 rubles, will rise to 50 rubles. Summer growth in fuel prices, as experts traditionally explain, is caused by seasonal factors. Many motorists, who kept their “iron horses” in garages or parking lots during the autumn-winter period, now take them out of the stall and harness them for garden work. In addition, in summer many oil refineries reduce production for the purpose of prevention and repair work, which increases the fuel deficit in the domestic market. At the same time, another surge in the wholesale cost of fuel, according to experts, is caused not only by these factors. According to the executive director of the Russian Fuel Union Grigory Sergienko, the growth in wholesale prices was caused by the fall in the ruble exchange rate, which was observed at the end of July – in the beginning of August this year. Then the value of the dollar on the exchange rose sharply from 62 to 68 rubles. As a result, the attractiveness of fuel exports increased significantly. The supply of gasoline and other finished fuel on the Russian stock exchanges fell significantly, which led to the growth of wholesale quotes. “This is reminiscent of the situation at the end of April – beginning of May,” the expert said. Recall that then, due to the increase in world energy prices, the cost of fuel on the domestic market of Russia, soared by 10-13%. The increase in wholesale prices in oil refineries, experts believe, will immediately lead to an increase in the selling price of gas stations. So it was in May this year. 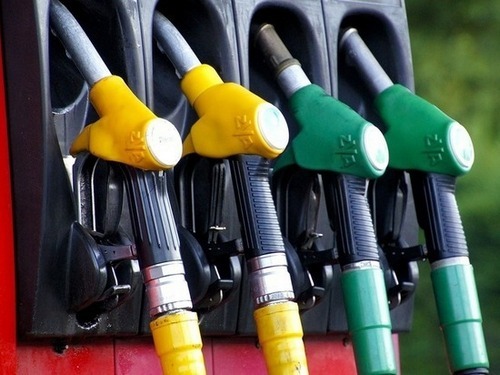 The wholesale price for basic fuels on the St. Petersburg International Commodity Exchange from April 28 to May 28 per tonne of AI-92 and AI-95 gasoline rose nearly 7,000 rubles. It is worth noting that the retail cost of liter AI-95 only in April grew 20 times faster than in January-March, combined. In the opinion of Finam analyst Alexei Korenev, in 2018 the price of AI-92 gasoline will easily reach 42-45 rubles, AI-95 – 44-46 rubles, and diesel fuel will rise in price to 44-47 rubles. True, there are other, more categorical forecasts, which suggest that by the end of 2018 Russians should focus on 50 rubles per liter of gasoline. At the same time, now officials have an effective means to cope with “fuel lawlessness”. President of Russia Vladimir Putin, on the liberties of the previous rise in price of gasoline, approved a law authorizing the government to impose protective duties on the export of oil products abroad, when the prices for fuel in Russia due to the growth of exports are rapidly increasing. That network, if the prices for refueling will grow dramatically, then the state can put fiscal obstacles in the way of fuel price revelry by fiscal methods. Whether this mechanism will work in practice will become clear in the coming weeks.